Photos by Jahied Ahmed for muzmatch. 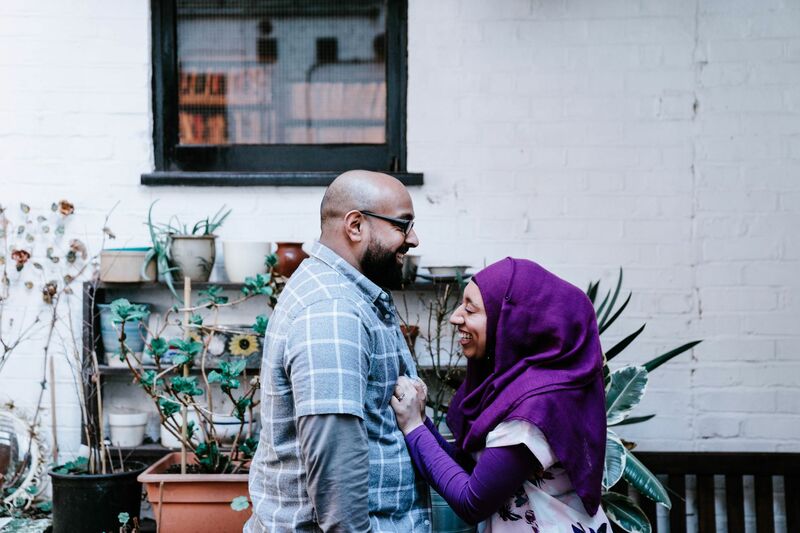 We caught up with Sana and Hakim, two lovebirds turned happy couple who met through muzmatch. One year on, we wanted to know how life is going and find out what tips they have for other budding couples and singles on muzmatch. A short intro about yourself? Sana – I’m 25 years old. I’m from Swindon, where I lived with my mum and older brother. I work within the museum sector. Hakim – I’m 25 years old. I live in London with my family. I help run a growing leather wholesaling company in the heart of Bethnal Green. Before you used the app what were you looking for in someone? Were there any things in particular which were a must? Hakim – I didn’t have a biodata like Sana. I was basically looking for someone who wasn’t petty, who understood many things about life how I do. Certain things are more important than other things and that’s what I was looking for. Sana- I believed it was important to have certain criteria when looking for someone but at the same time I only used it as a guideline. I don’t believe that people should be too strict about that. It was important for me to find someone who was practising but also understood a more relaxed way of life as a balance. Are your family backgrounds quite different or similar? 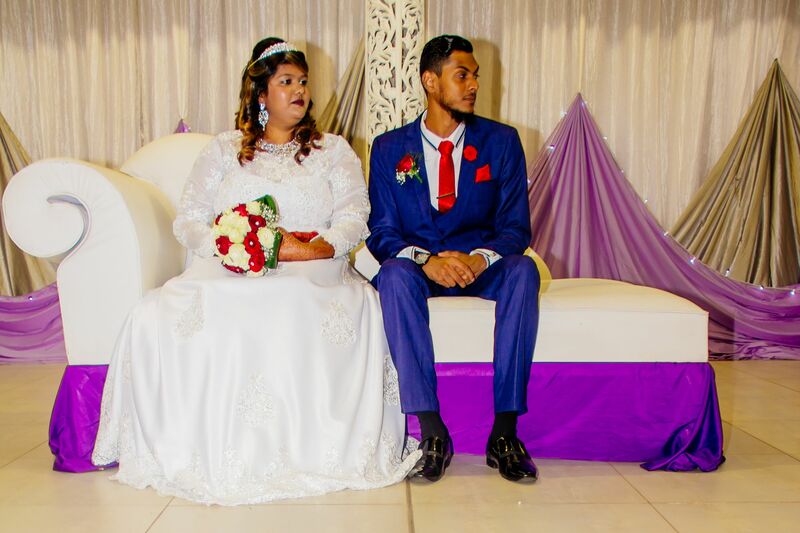 Hakim – This is one of many challenges we had to overcome as I am from a mixed background and Sana is not. They’re very different. That’s what makes me and Sana even more magical. Our backgrounds are so different. It just shows that anything is possible if you just believe. 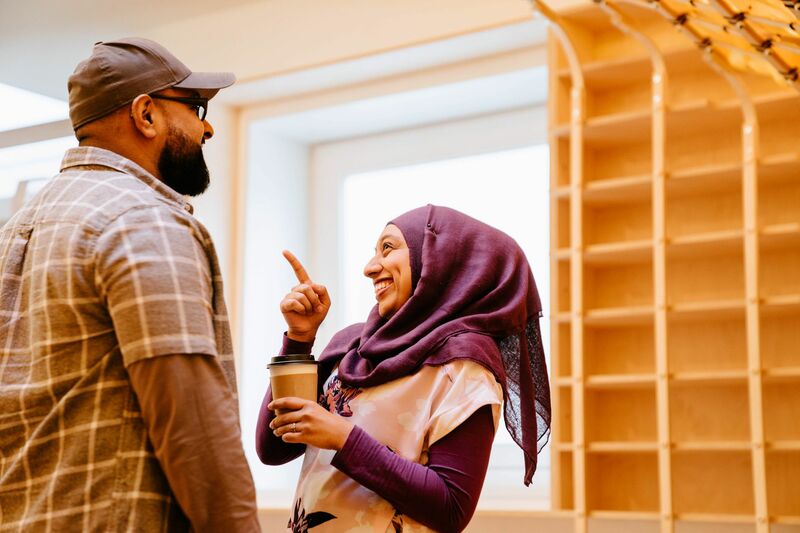 Sana – We’re different in that Hakim has a larger family with more siblings but we both went through not having our fathers present in our lives. But it’s really cool that Hakim’s family have a mixed background because his mum is from Trinidad. Where did you hear about muzmatch? What made you give it a go? Hakim – From a friend. He signed me up on my phone and the rest is history. Sana – I think I came across Muzmatch when scrolling through my Facebook feed or something. I was on it for longer than Hakim was. I was trying many different ways of finding a husband, including marriage events and websites. This app was something more convenient and I felt it would have attracted users that would be more relatable and suitable matches. What did you like about muzmatch? Hakim – I found what I wanted. It took me one week. Sana – I liked how quick it was to suss out who was there to mess around and whose intentions were more serious. I thought it was so important for people to be allowed to communicate if there was mutual interest and I wasn’t bothered by unwanted messages. What did you hate about muzmatch? Hakim – I didn’t like that fact that you could only match a certain number of people a day. And you can’t help the fact that there were people just trying to pass time and weren’t really looking for anything serious. Sana – I hated nothing about the app itself. You just have to take the bad experiences with people and become a better person from it. Were there any aspects of how muzmatch worked which you think helped you find your partner – perhaps better than other ways? Or if not better, just different? Hakim – It was quick and easy and very simple to use. I don’t know how to compare it to anything else because this was the first time I tried looking for a wife. Sana – I liked that the app had a location feature because then I could figure out the possibilities of meeting with someone if they were close by. Even though the picture swiping is a superficial starting point, it helps to save time and makes your actual matches stronger. Tell us about your journey to muzmatch, and how you used the app and what you were looking for. 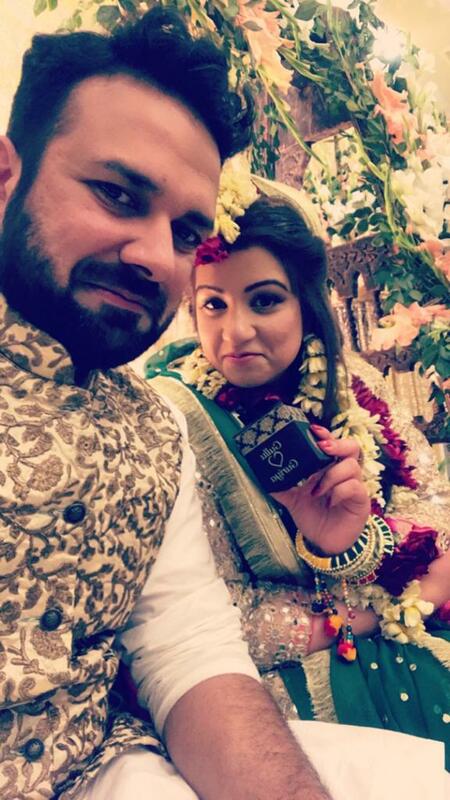 Sana – I tried different ways of finding a husband before and nothing was really working and I needed to refresh the pool of people and the same standard conversations I was coming across. I was getting used to talking to a few people at a time rather than just one person and muzmatch allowed for this. The elimination process was quite easy. I was looking for someone practising but also outgoing with a big personality. Someone independent and who demonstrated responsibility. Hakim – I didn’t know what I was looking for. I had no main goal in mind when I went on the app. I was recommended to use it and I found someone I didn’t expect to find. First impressions? What caught your eye in the other person? Hakim – Not caught my eye, caught my mind because the fact that she was so understanding and wanted to understand me in a deeper, more intense level. The fact that she looked like something I was looking for. She sounded like she was what I was looking for subconsciously. Sana – Hakim was very straightforward with his questions when we first started speaking and it might have been honestly blunt but that’s how I knew that he was serious. It was very different to the casual conversations I was used to. His pictures were from his holiday in Egypt so we vibed on that because I studied Egyptology. I had something in my heart tell me that I needed to understand this person a lot deeper for me to feel a connection. And he was worth my time. How and where did you guys meet? How did the first meeting go? Nervous? Happy? Excited? Sana – For me it was important to have Hakim come and meet my mum for our first meeting. I appreciated the effort he took to come from London to Swindon and to introduce himself to my mum on his own. I was nervous because I wanted it to go well but I knew there were still some barriers to overcome. The meeting was a little awkward because my mum hasn’t been in that situation much and she didn’t really come to terms with how serious Hakim and I were about getting married. 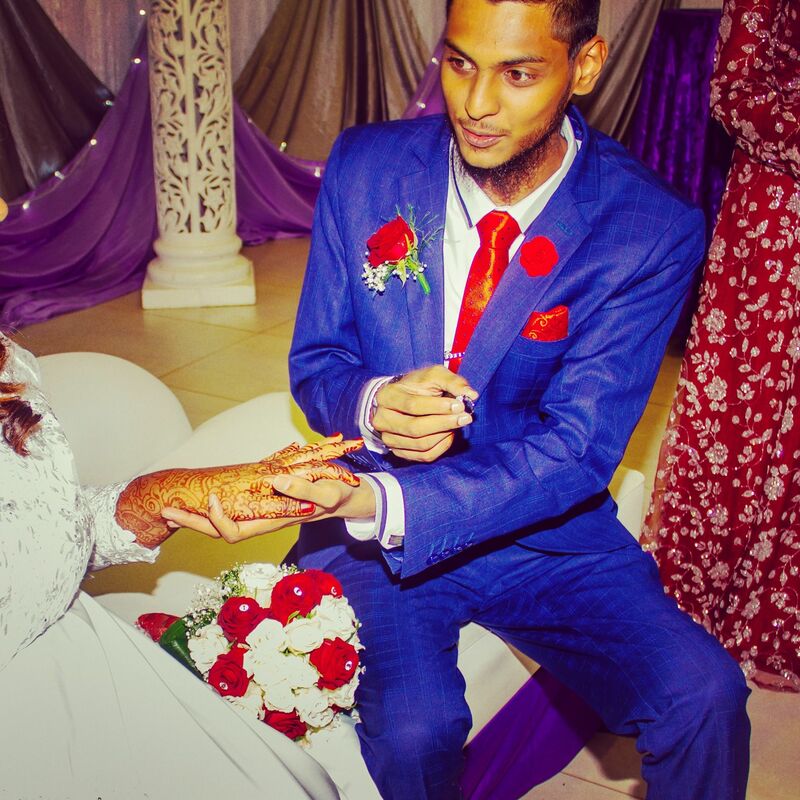 Hakim – I had to travel to Swindon to come and see Sana. Nervous? Happy? Excited? All three. Not only did I meet Sana for the first time but I had to meet her mother too. But I knew it was important to her that I did. I got to the train station before Sana. She was meeting me there. I wanted to hide from her and sort of scare her from behind when I saw her. But when I saw her crossing the road, my body decided to move towards her and I couldn’t stop it. And that was that. Was it love at first sight? Did you think this is the ONE? Hakim – I wouldn’t really know how to describe what I was feeling at the time. I had a rush of many emotions. I guess you could call it love from the first time I actually laid eyes on her. Sana – I admit that I fall in love quickly but it takes me time to trust that love. There was a lot of anticipation before meeting and I felt secure in that he was making the effort to come and see me – which was really rare to expect before. I had also prayed istikhara which gave me so much confidence to support my feelings for him. But I knew he was the one when I saw how big his smile was when he saw me and how we gave each other the tightest and longest hug I ever had in my life. How did the next meetings go? 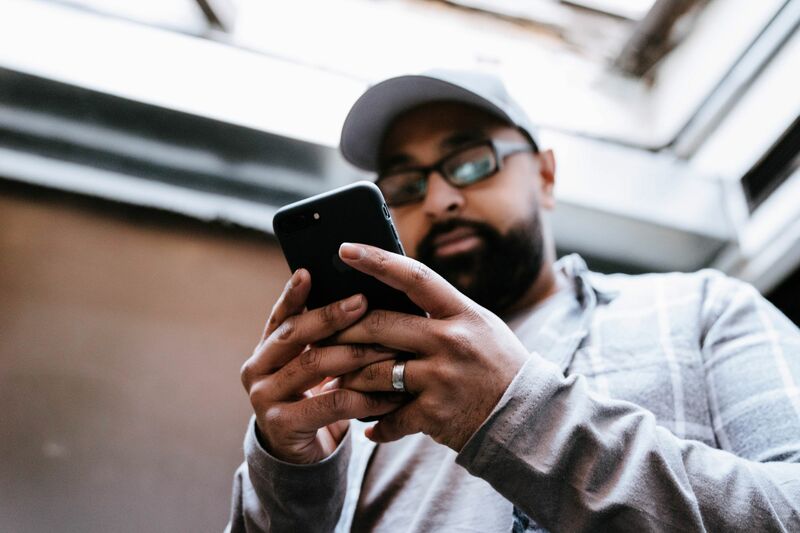 Hakim – The very next meeting was supposed to happen the following Sunday but I couldn’t wait that long so I took a sick day off work and made my way to Swindon. We went bowling and had something to eat. That was a good day! The next meetings went from strength to strength, neither of us wanting to be away from the other. 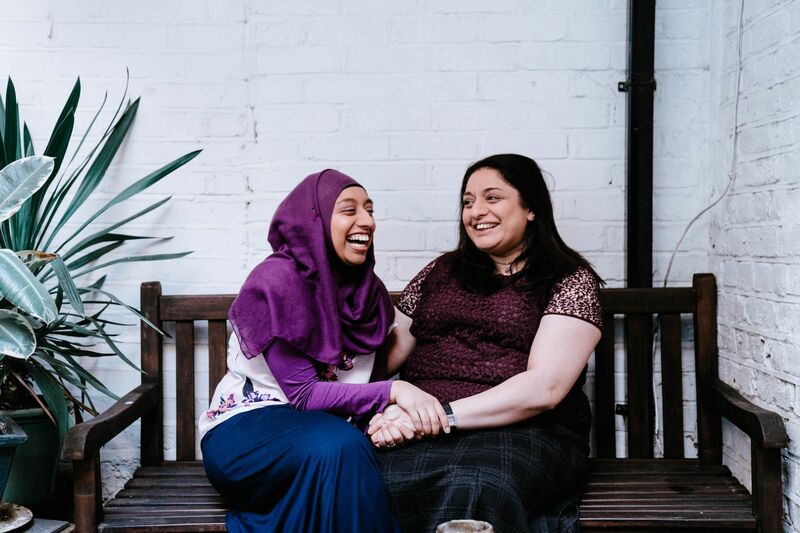 Sana – After having Hakim meet my mum, I was looking to her for next steps but at the same time she was looking for me to tell her what’s next! 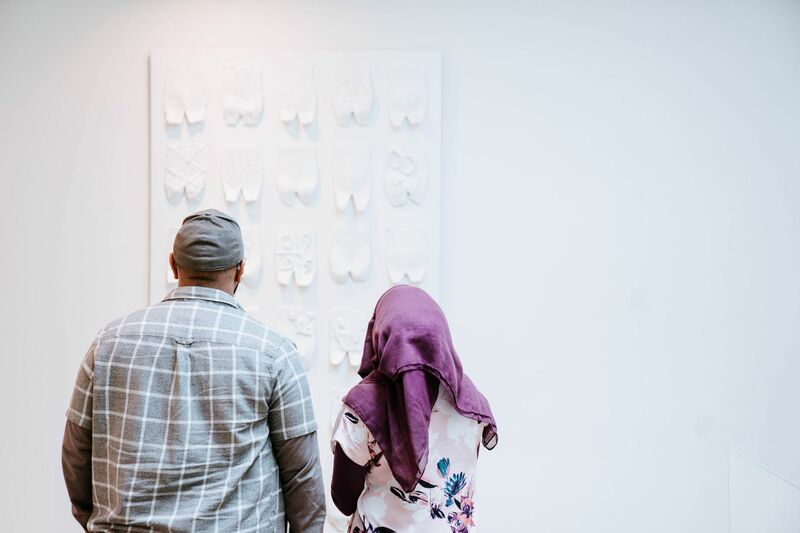 There hadn’t been a marriage in the family since around 10 years ago when my uncle got married and no one really knew how to go about the marriage process in a way that reflected my Islamic principles and a less cultural mindset. Also, Hakim was only hoping to get his mum involved in the early stages and there was no real intervention from his side either. 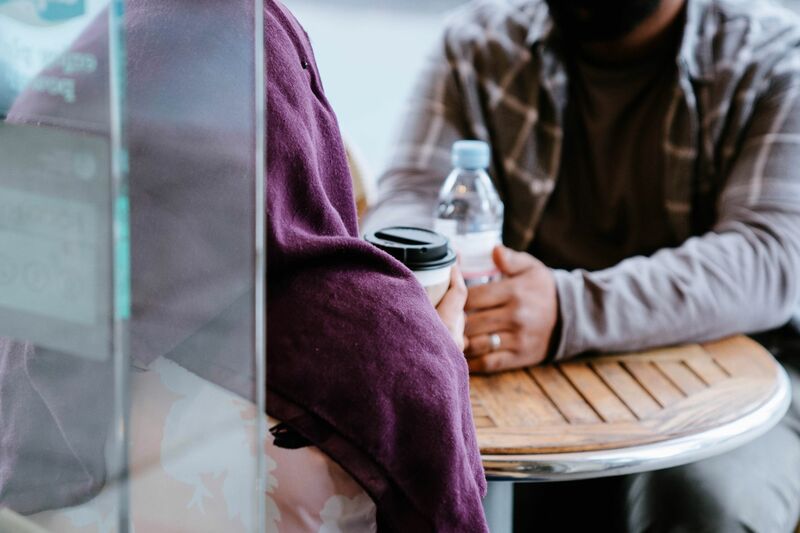 It seemed that I had to make my own way for anything to move forward – in a manner that is pleasing to Allah and also wouldn’t offend my family. I had to get them involved whether they felt the need to or not to avoid regrets. It was hard to Hakim to understand why I had to coordinate so many family meetings but I’m happy that he understood it was an important obligation on my part. When did you get families involved – how did those meetings go? 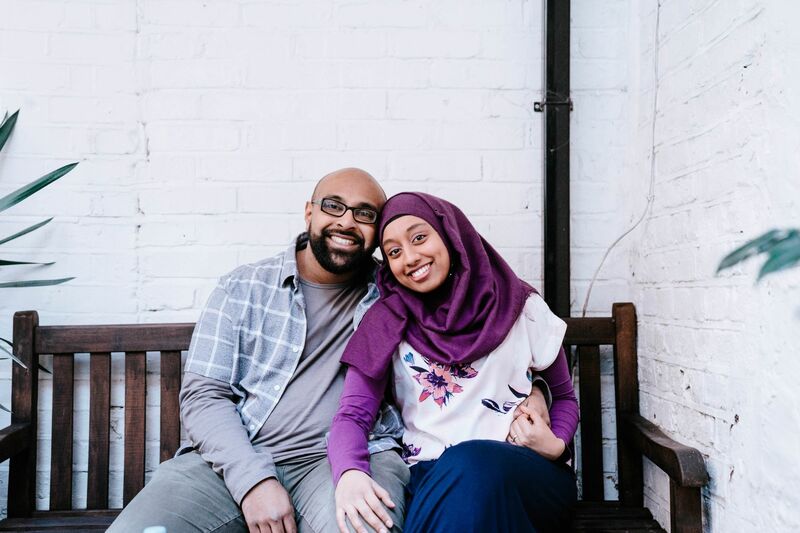 Hakim- The first time I got my mum involved was when I was sure I was going to marry Sana – which was actually the day before I officially met her in person. We had spoken for a while and skyped beforehand but I was sure. Sana met my family not too long after and, Alhumdulilah, the meeting went very well. Luckily my family loves Sana, which makes my life a little bit better. Sana – Obviously, I had family involved from the very first meeting. Hakim met my mum and my brother which was slightly awkward but it gave them the sense that I was serious about getting married. The rest of my family is only small and so Hakim made frequent trips down to meet my grandparents, my aunt and my uncle. I didn’t get an idea of what they thought about Hakim properly because they trusted me to make a good decision (not always the best thing! ), but they had a good enough impression of him to not object to me going ahead with our plan to get married. I felt like they could have given a more heartfelt and warm welcome and be interested in him – and his family – a lot deeper than just an introduction. I met his mum before taking my own mum to meet her and Hakim’s family were so happy to meet me after he told them all about me and they were ecstatic about an upcoming wedding in the family. I was always worried because I know a guy likes to think his mum will be happy with the girl he chooses but it’s not always the case! They really helped me to relax and their approval straight away meant a lot. Hakim- Well, me and Sana knew that we were getting married. There was no doubting that – but I had to go through all her family first. So I went down to Swindon to see Sana and on the day I had to go back to London, Sana was also going to Manchester. She was filming for a TV show called ‘iGeneration’ on British Muslim TV. She was getting her train before me. She turned away from me and when she looked back at me, I was on one knee with the ring out asking her to marry me. That’s the story. Sana – In our excitement, we went window shopping for rings when he’d come down on the weekends. He kept asking me which one I liked the most and he said that he wanted to do a big surprise proposal for me. I never thought that kind of thing would happen to me because I expected it to be a family thing rather than a scene from a movie. But I did warn him that he shouldn’t spring it up on me without discussing his plan with my mum. So he came with me and my mum on the coach back to Swindon after meeting with his family. He left me to sit with her and he showed her the ring he bought. The next day I was leaving for Manchester the same time he was heading back to London. I said goodbye and before I could walk away, he pulled me back and he was on his knee with the ring in his hand. All the people in the queue for the coach started applauding and an African guy walked past saying ‘Congratulations Bro!’ Hakim made me so happy that day and it felt like we finally reached the peak of a mountain! Were there any challenges you had to overcome – both before getting married and after? Hakim – For me, one of the major challenges was the distance. The distance was killing me. Also her family was kind of challenging and not in a good way but, Alhumdulilah, we made it through all the problems together. 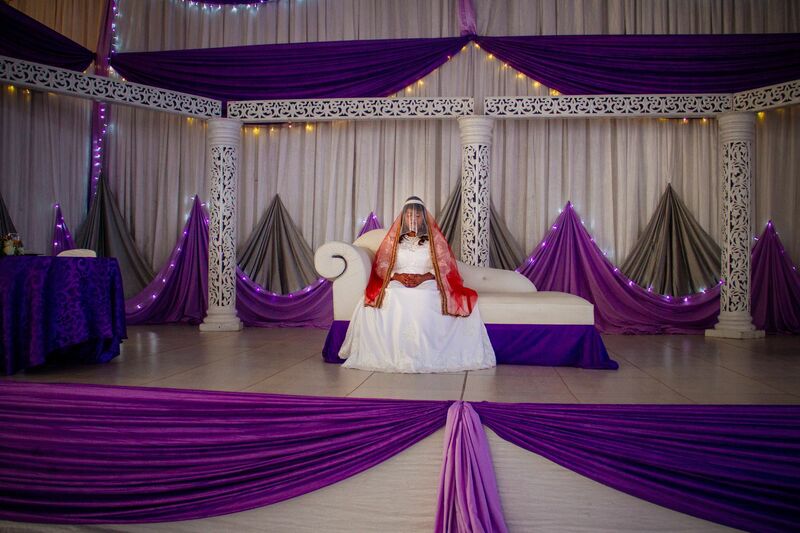 Sana – I had a lot to work on to get my family on board with the fact that I was serious about getting married even before I was pushing for them to give Hakim a chance to meet them. There was also some family drama going down which unfairly shadowed my situation. I wasn’t going to let that delay my process and I started to be selfish with my needs. I also had a lot of discussion with my mum about opting for a simple wedding. 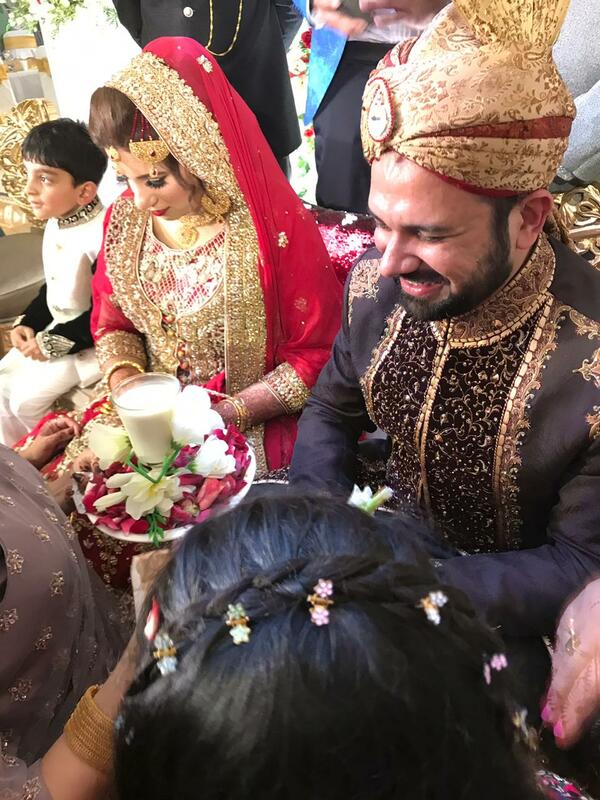 I have seen nikkah’s take place in the most humble settings and in the most extravagant and I was trying to reason within our means. Unfortunately, it started to get a little more superficial and I wouldn’t have survived if Hakim hadn’t been a buffer. I actually fell more in love with him for his diplomacy, assertiveness and respect towards my family in a situation where he disagreed with them. I didn’t ever want to be in a situation where I chose a man over my family so I also had to deal with those feelings too. I’m glad in hindsight that my trust in Hakim was justified because I have only known of bad consequences from that kind of thing. Would you recommend muzmatch to your friends/family? Hakim – Now that is a tough question. I guess it depends on the person. I would in general because it worked for me so I don’t see why it wouldn’t work for someone else willing to put the effort in. 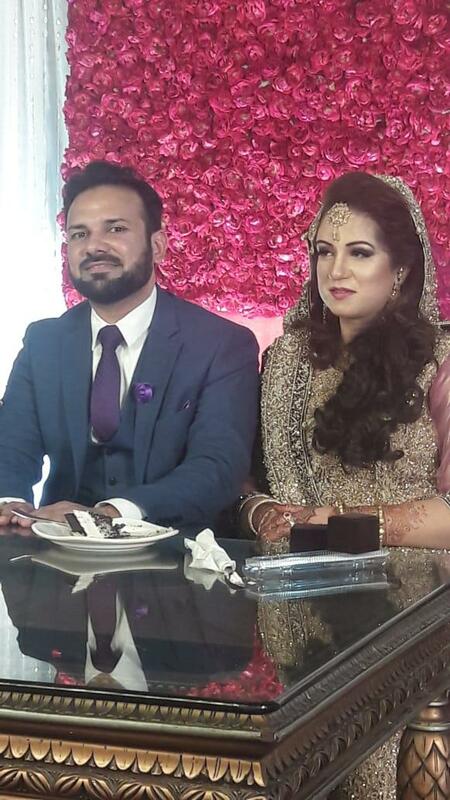 Sana – So I actually found out that one of my uncles found his wife through Muzmatch as well! It’s making a good track record in my family already. I also know a few girls who have had more difficult journeys than me and some have even given up. Some have taken my advice and I recommend everyone to try Muzmatch! Always have your intentions clear to Allah before signing up and constantly make dua. Istikhara and Tahajjud salah is key to successfully finding your future spouse! What would you change about muzmatch? Hakim – I would change the blurred images because people nowadays do not trust a lot nowadays. I would change the nationality part or expand on it – for instance I’m half-Pakistani and half-West Indian and I’m British and I couldn’t show that. Sana – There isn’t anything that I can think of. I think it already works quite well and it has a distinct character than other Islamic marriage services. A lot of problems come from how the person uses the app rather than the functionality of the app. Use it wisely and fear Allah! Any message for the muzmatch team? Hakim – Good job! Keep trying to improve the app technology – always needs tweaking. Sana – JazakAllah khair for helping me to find my husband. My duas for your continued success and for Allah to make it easy for those who are on their journeys of finding half their deen. We loved our surprise gift and we love staying in touch with you and getting involved with things. 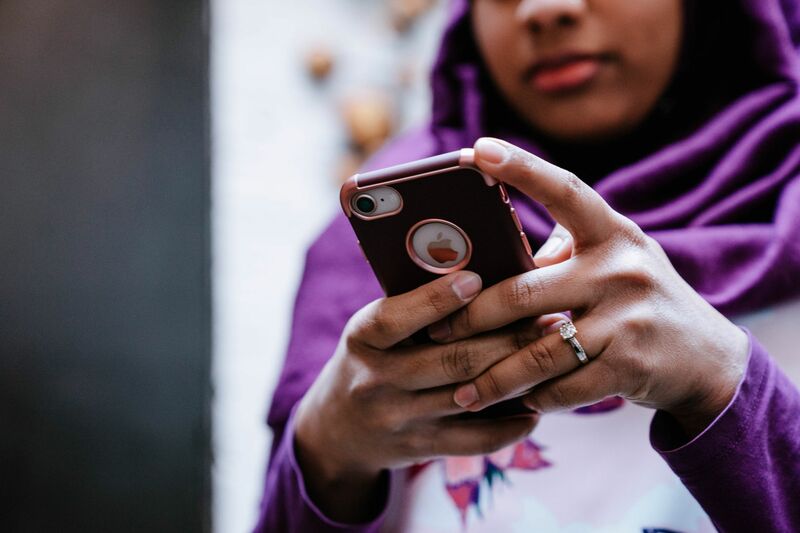 I think it’s important to get rid of the stigma in the community about finding someone online, present a more positive narrative and to make the halal path easier for this generation. My experiences aren’t worthwhile if I can’t use them to benefit others. 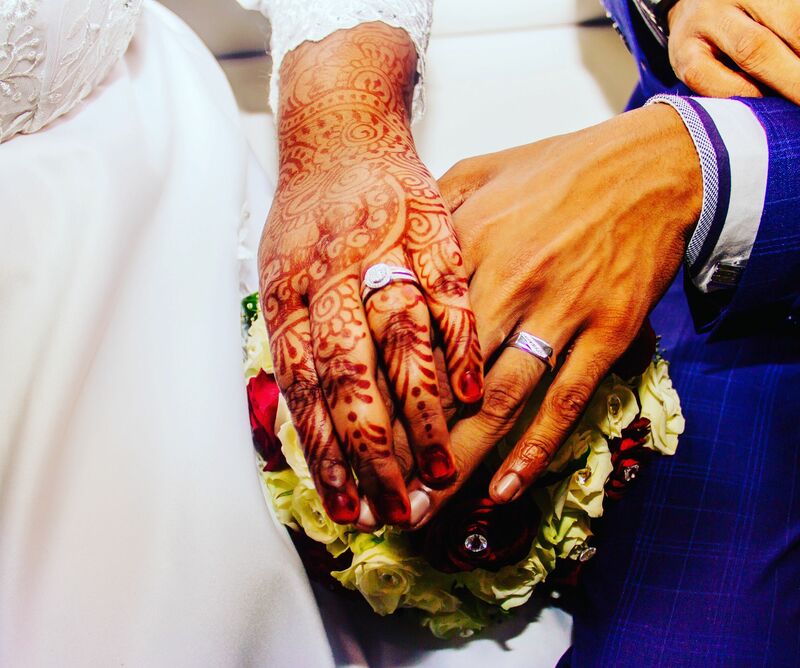 What do you think are the difficulties and obstacles right now for muslims seeking marriage? Hakim – I think there are many problems especially in today’s society. One – parents are getting less and less involved. Another is people not actually giving potentials a chance and would rather chase a social media dream of what a relationship is rather then a real one. I could be wrong but in my experience those are big problems for Muslims. 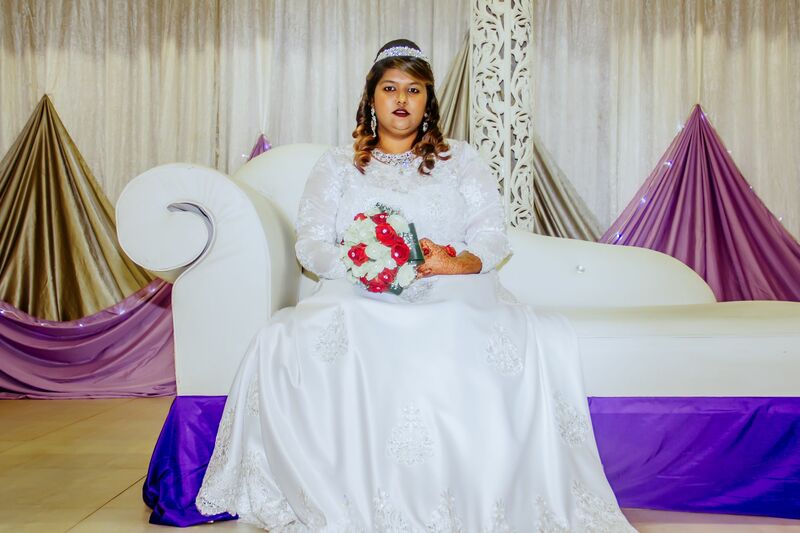 Sana – I think it’s important for families to think ahead for their children and prioritise marriage when they recognise that their children are ready for it. Don’t delay it because of education or career or financial struggles. Even waiting for elder siblings in the family to get married first – it doesn’t always happen in order! 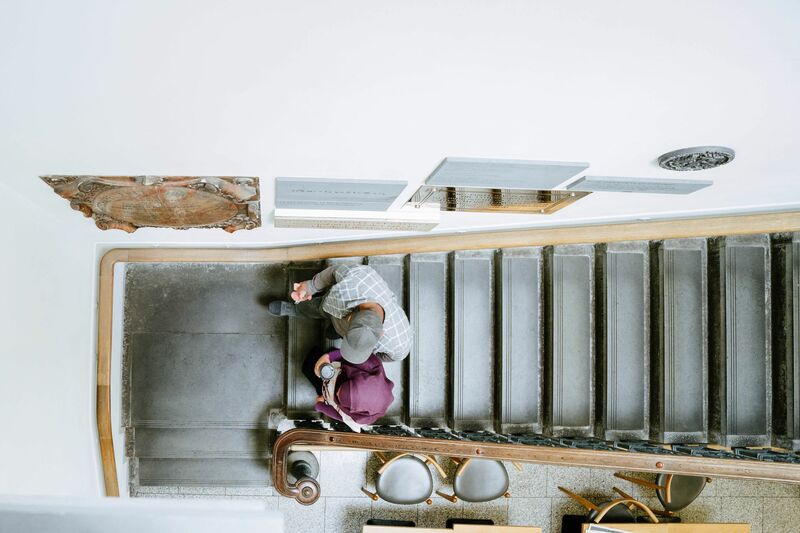 In consequence, a lot of people are venturing out on their own to find their spouse without that vital support and end up in questionable situations. I also think that a lot of people who are looking don’t prepare in the right way because they don’t even know what they’re looking for and go with the flow. That’s not the right way to go about something as serious and permanent as marriage! People’s criteria and expectations are too rigid and perfectionist. I feel we have to still break a lot of cultural ideals and really follow the sunnah of the Prophet Muhammad (SAW) to be successful. Hakim – Well I don’t plan too far ahead. I just want to enjoy my life and make sure that every day I tell my wife I love her and try and make her life as magical as I possibly can. Sana – I’m happy to have now settled in London. I always said it would take either a job or a man to bring me to the city! Now I’m just carrying on making moves in the museum sector. My priority is my husband and I will always support him and stand by his side. Our goal is simple – to live a happy, comfortable and purposeful life. We don’t need much, just the blessings of Allah (SWT).